Mumbai: N Srinivasan was dethroned as the ICC Chairman after the BCCI decided to nominate its recently-elected President Shashank Manohar as its representative to the sport's governing body. The decision to remove Srinivasan was taken at the BCCI's 86th Annual General Meeting here today, virtually signalling the end of his hold on Indian cricket. Srinivasan took over as ICC Chairman in July 2014 and his term was to last two years, so Manohar will be the chairman for the remaining seven months of the term. The ICC chairmanship rotates between India, Australia and England. The Tamil Nadu strongman has not lost his his grip on Indian cricket after already being ousted as the BCCI President by the Supreme Court following to the 2013 IPL spot-fixing scandal in which his son-in-law Gurunath Meiyappan was found guilty of betting charges. 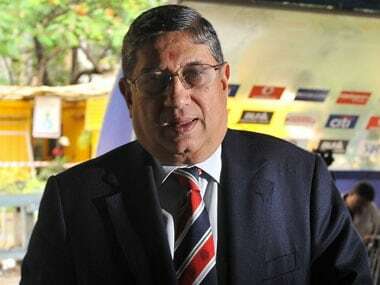 Although Srinivasan was not personally indicted for the damaging scandal, the Supreme Court found him guilty of a conflict of interest and chided him for not acting on the elements that corrupted the IPL. With his sacking as ICC chairman, Srinivasan now only remains the president of Tamil Nadu Cricket Association. 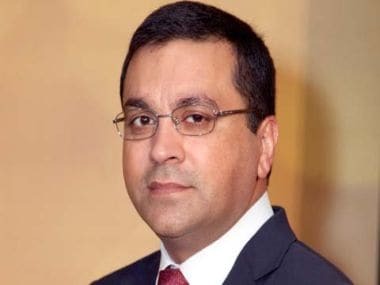 His company India Cements, which owns the IPL franchise Chennai Super Kings, has suspended for two years from cricket after its officials were held guilty of betting. In case, Manohar cannot attend the ICC meetings, Mumbai Cricket Association president Sharad Pawar was appointed the alternate director and will be India's representative. Meanwhile, as expected, Ravi Shastri has been removed from IPL Governing Council, which has been reduced to five members - Rajeev Shukla (chairman), Jyotiraditya Scindia, Ajay Shirke, MP Pandove and Sourav Ganguly. Roger Binny too has been removed from the senior selection panel, largely because his son Stuart in currently part of the Indian team. Manohar made it a point to say there should be even the appearance of conflict of interest and that allegations of conflict "should not destroy [Stuart Binny's] career." Gagan Khoda and MSK Prasad are new members in the selection committee, replacing Rajinder Singh Hans and Binny. The appointment with the biggest potential for change is that of Former Chief Justice of Delhi High Court, AP Shah, who was been appointed the board's first ever Ombudsman to avoid "bias in decision making" and handle code of conduct complaints. - Sourav Ganguly replaces Anil Kumble as the Chairman of BCCI Technical committee. - Gagan Khoda and MSK Prasad new members in the selection committee, replacing Rajinder Singh Hans and Roger Binny. - BCCI has announced six new centers - Visakhapatnam, Ranchi, Indore, Pune, Rajkot and Dharamsala. - Appointment of former Chief Justice of Delhi High Court, AP Shah, as the BCCI's Ombudsman. - The BCCI has also given the Delhi & District Cricket Association until 17 November to get all the permissions necessary to host the fourth Test against South Africa at the Ferozshah Kotla. If the state association fails to do so, the Test, which starts on 3 December, will be moved to Pune.